London is home to some of the best cafes in the world. The diverse city that houses people of different cultures brings about a myriad of ideas and inspirations, and this has translated into the exhaustive array of thematic cafes, coffee-making techniques and culinary impressions, and architectural wows. Good cafes are sprawled all over the British city. From residential neighbourhoods to CBD to the bustling city centre, good cafes are everywhere. It is an endless quest and we are constantly being awed by new joints with every visit. 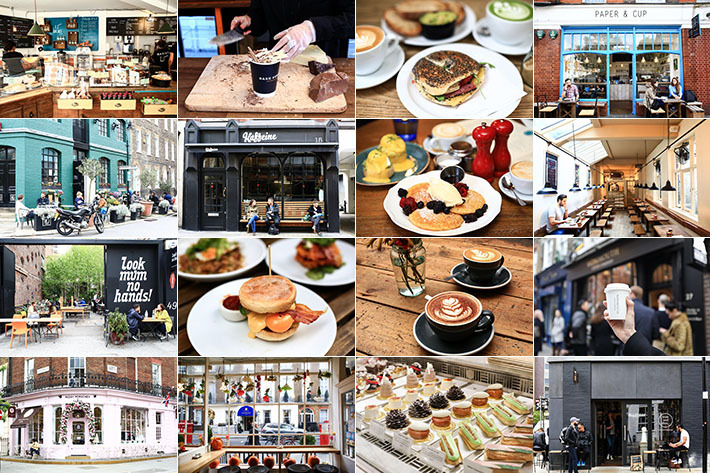 It took us several years to visit numerous cafes in the city and here’s our picks on London’s best cafes and coffee shops. London is one of the best cities in the world, and if you are being based there, you are lucky! Otherwise, as travellers, London is always a good idea for a city holiday. What’s even better is that there is plenty more to explore outside of the capital to enrich your travel experience. The fantastic thing about London is that it is strategically located in close proximity to many other cities, and the UK’s advanced transport system allows you to reach these places quickly and without much hassle. Here are 10 Day Trips from London for Under £35. The next time you find yourselves in London, don’t forget to factor in a day or two for these alternative experience! The capital of England is not just home to the best dining destinations but too boasts a fine selection of museums. Following the recent Brexit, travel gurus have declared the UK as a great travel bargain; its affordability has propelled London to become even more highly sought after than before. From Victoria and Albert Museum, Grant Museum of Zoology to National Gallery London, here are The 9 Best Museums in London that all cultured travellers must check out. By the way, most of London’s major museums offer complimentary general admission. Now, you have no excuses to not make a special trip! Christmas is the best time of the year, and no other country celebrates it better than the United Kingdom. Besides the snow, the festive lights, and the array of fine festive foods, London is also best known for their Christmas markets. From Scandinavian-style set-ups to festivals filled with irresistible finger food, and even workshops for you to release your inner crafter, the Londoners sure know how to plan a great Christmas market. If you are planning on visiting the great city during this period, here are 8 Best Christmas Markets In London To Get You In The Festive Spirit. Dominique Ansel Bakery has opened in London! Londoners are sure in for a treat. Dominique Ansel is a revered French-born pastry chef who has wowed the world with his extraordinarily unique dessert creations. For those not in the know, Dominique Ansel is the creator of the life-changing cronuts and cookie milk shots. While other patisseries are scurrying to replicate his inventions, Dominique is already on his way to create something entirely new. 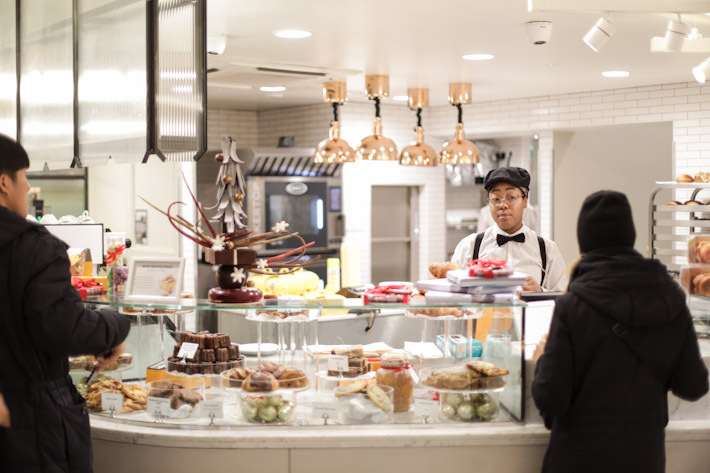 The world-famous bakery has three outlets in New York City, Tokyo and now London. After much anticipation, the award-winning brand alas opens a 25-seater bakery in the capital of England. Snaking queues are already forming in the quaint Belgravia district; Londoners are evidently overjoyed with the city’s newest food-and-beverage addition. Have you heard? The Muffin Man has the best scones in London! 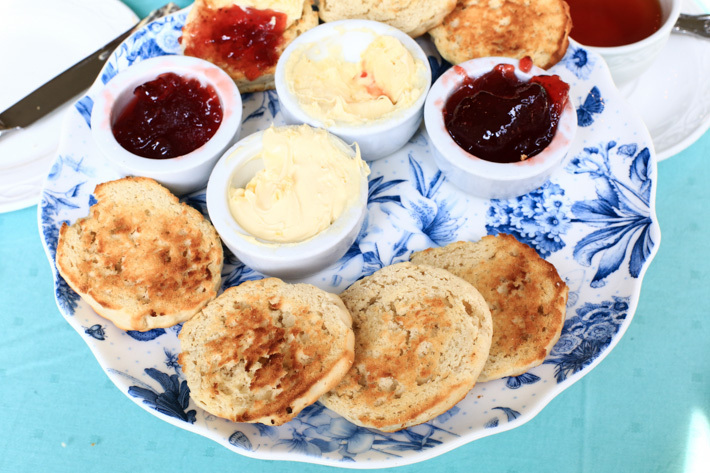 The Muffin Man is an old-school English tea shop that serves a variety of breakfast dishes, rustic cakes and scones. You might have seen this name on Instagram before, because it is a highly popular joint, especially among Singaporeans and Indonesians. Indeed, it is one of those places that you must dine at at least once in your lifetime. If you want to get fat, go to London. The British city has cuisines from all over the world, and the sheer number of options is mind-boggling to say the least. Meal times are never dull when in London, and we always look forward to the next meal because our list of places to check out never ends. Getting this done was hard, because it is hard to point down to just one or two favourites. But here’s a Guide to 14 of Our Favourite Food Places in London; first-timers to London should visit all of these to have a fair glimpse of what London can offer! 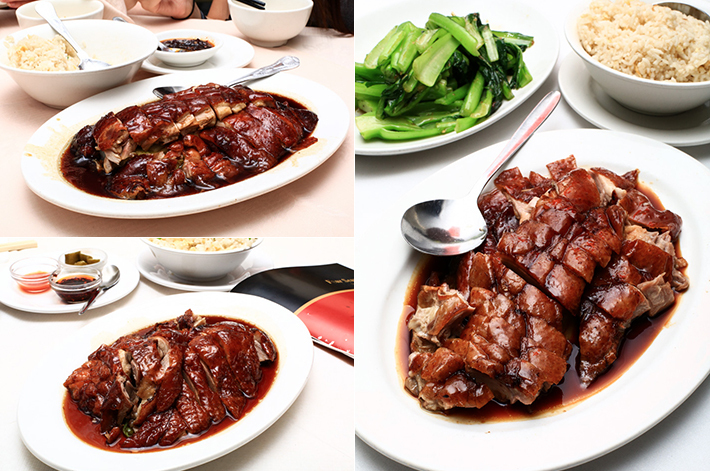 London is synonymous with good food, and where the Chinese community is concerned, roast ducks are a must when in the British city. Sure, there are many upmarket Chinese restaurants serving exquisite Chinese cuisine and dimsum, but most would agree that when in London, nothing beats the comfort of a plate of roast duck and a bowl of egg fried rice in a relatively old-school Chinese-looking eatery complete with (gaudy) red and gold decor. So London has three very famous names when it comes to roast duck – Four Seasons Roast Duck, New Fortune Cookie and Gold Mine. 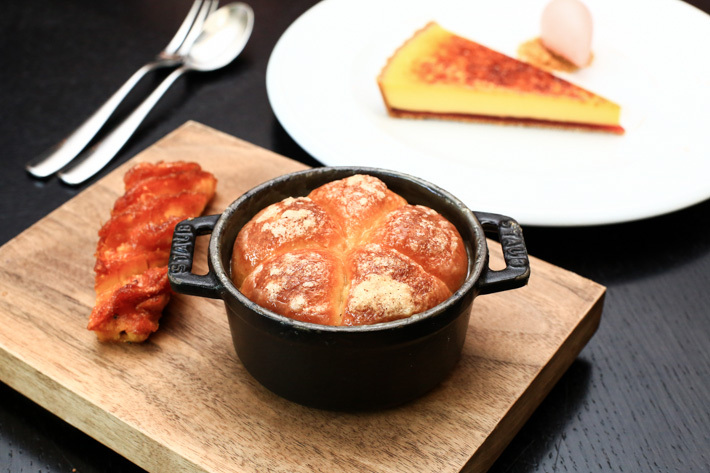 These three are the most talked about restaurants, but which exactly is the crème de la crème? We’ve been to all three many times on numerous occasions, and this is our humble take on the best roast ducks in London.